Naoki and Kevin Tokyo Handsome Boys! 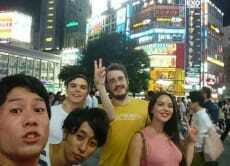 It is our dream to be No 1 Tokyo Tour Guides. We are also guest house hosts, so we know how to provide the best hospitality for our guests. We will show you the best parts of Tokyo which tourists don't know and tour guides don't show. Let's learn about Tokyo and have a few laughs along the way. 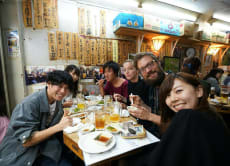 Explore Tokyo's Nakano area on a local food tour!